ADIDAS Pharrell Williams HU HOLI TENNIS YELLOW TRAINERS. A Pharrell Williams Hu equal sign logo stands out on the heel and tongue label. A design collaboration with adidas Originals, genre-defying star Pharrell Williams' signature sneaker celebrates the hues of humanity. SOLD AS SEEN IN THE PICTURE! good condition. Pharrell Williams Inspiration Pack NMD Black UK 7 Replicas. Box and Tags state UK 7.5. However they fit and feel more like a UK 7 Nice replicas with some minor flaws, the insole is a little off and there's minor bits on the stitching to the upper as pictured. Please see photos Tried on once and sadly their half a size too small. Brand new with box. 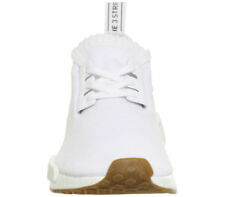 Adidas Pharrel Williams PU tennis Nu Trainers, white size UK 9. These have been worn a handful of times. They have been washed to remove any surface dirt. They still look white, but look closely at the photos, there is a bit of grey smearing to the outer sides. The condition is very good. Soles, heels, toes etc show no signs of wear. They are size 9. I would say they are quite a small fit, perhaps due to the shape. 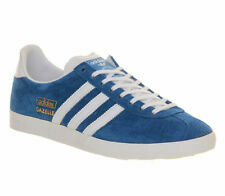 They are my son's and he has other adidas size 9 that still fit ok, these he grew out of very quickly. They will be delivered in the box. The original box and tissue etc are still available.I send out within 3 working days. Thanks for looking. 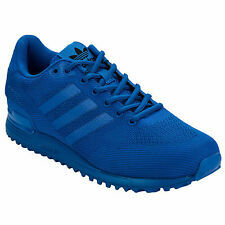 Addidas Trainers Size 11.5 Pharrell Williams. Condition is New with box. Dispatched with Royal Mail 1st Class. Received as unwanted present. Pharrell Williams X Adidas Originals Superstar Supercolor Orange UK12. Great used condition. Unboxed. 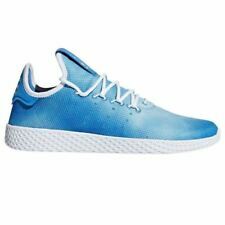 adidas pharrell williams tennis hu trainers uk 8. Condition is New with box. Dispatched with Royal Mail 1st Class. Adidas NMD R1 PK Japan Triple White UK Size 9 BNIB RRP£150 DEADSTOCK Dispatched with Royal Mail 1st Class. Adidas pharrell williams HUWorn 2 or 3 times. A shade big on me at 7.5. Adidas pharrell williams HUWorn 2 or 3 times. A shade big on me at 7.5.. Condition is New with defects. Dispatched with Royal Mail 1st Class. Product code: CQ2443. Progressive, premium, pioneering. A signature NMD heel plug unit completes the look. Signature NMD EVA plug at the heel. Product colour: Grey One/Grey One/Solar Pink. Rubber outsole with TPU stabiliser in the arch. 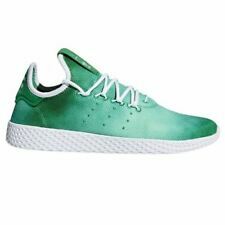 Adidas pharrell williams tennis hu Size 5. Condition is Used. Dispatched eBay shuttle 3-5 business days. Please note no returns, I try to show state of items in photos as accurately as possible. Any questions please ask. 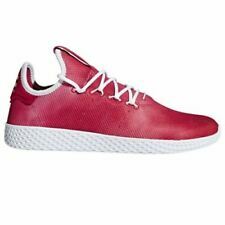 Adidas Pharrell PW Tennis HU Size 8 Brand New With Tags. Condition is New with box. Dispatched with Royal Mail 1st Class. Adidas Pharrell Nmd Hu (Holi Pack) Size 9.5. Condition is Used. Says size 11 but these run quiet small Would fit a size 9 too Great condition With box and spare laces *not authentic* but are 1:1, real boost as you can see from the photos PLEASE CHECK OUT MY OTHER ITEMS!! They are my sons, he only wore them twice so in excellent almost new condition. Adidas X Pharrell Hu NMD UK 7 Brand New. Condition is New with box. Dispatched with Royal Mail 1st Class. 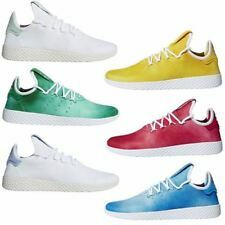 adidas PW Tennis HU Trainers - Pharrell Williams Human Race. Condition is Used. Dispatched with Royal Mail 1st Class. adidas pharrell williams tennis hu. Condition is Used. Dispatched with Royal Mail 1st Class. pharrel Williams tennis shoes size 8 uk . Condition is Used. Dispatched with Royal Mail 2nd Class. Adidas x Pharrell Human Race NMD 'Equality' Holi Black - UK 8. Condition is Used. Pristine Condition . 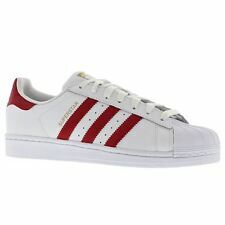 Come With Tags & Box Include Receipt From Adidas ! Black mid sole black laces. Black sole with Adidas logo.USED. Adidas Human Race NMD Body Earth. Adidas x Yeezy 500 Salt.